Networked Trade Platform (NTP) is a national trade information management platform that provides the foundation for Singapore to be the world’s leading trade, supply chain and trade financing hub. 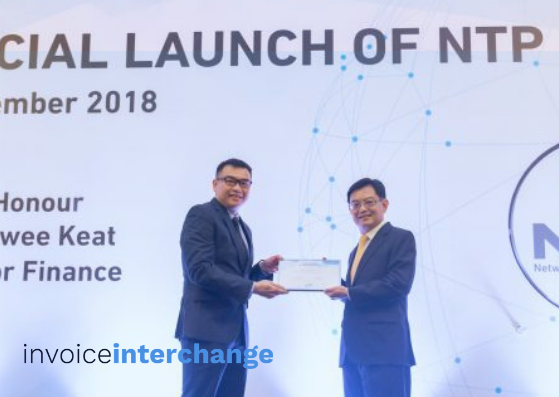 Spearheaded by Singapore Customs and the Government Technology Agency of Singapore (GovTech), NTP encourages cross-border trade linkages through technology. 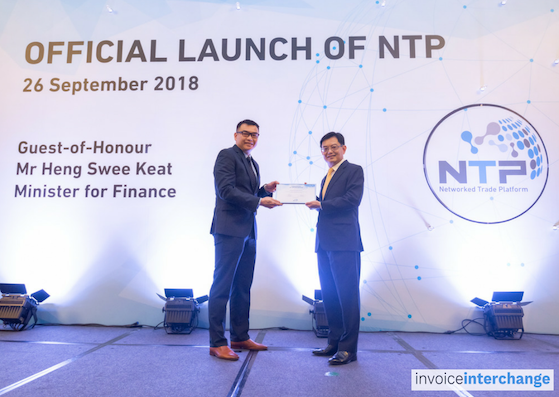 On 26th September 2018, NTP became official on its launch at the Orchard Hotel; graced by our Minister of Finance Heng Swee Keat. This partnership showed Singapore Government’s strong support for Alternative Financing as a partner to meet financial needs of local businesses/SMEs. InvoiceInterchange was proud to be selected as one of the Value Added Services (VAS) providers. On behalf of Invoice Interchange, Head of Risk, Kirk Chang was presented with a Certificate of Appreciation by Mr Heng. It was certainly honorable to receive appreciation from NTP which acknowledges our early support as a pioneer VAS provider. 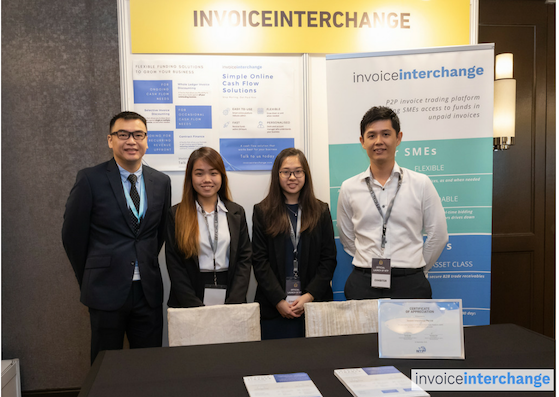 We had a pleasant time introducing our simple online invoice finance products with over 700 Singapore business representatives, ranging from the trade, logistics and public sectors. It was insightful to hear the challenges that they faced in obtaining financing during the course of business. InvoiceInterchange is therefore confident that this integration with NTP will bring about positive business growth. InvoiceInterchange provides invoice financing to SMEs to free up their cash flow and attain liquidity. Rather than getting cash-stuck in receivables, end users can now freely tap into InvoiceInterchange’s fast and flexible cash flow solution to set free their cash flow. With InvoiceInterchange, why wait when you can access cash flows within 24 hours? NTP provides beyond the service offerings of the incumbent systems. The digitalisation of paper trail enables reuse of data among the company’s business partners and the Government. Hence, this provides a seamless process for NTP end users to apply for Trade Financing. Mr Heng said in his speech that “Vision is for this to be a truly global network, to enable the efficient flow of goods and services, linked to a secure flow of financing, facilitated by a swift exchange of data, so that all parties, including regulatory and customs authorities can work together to facilitate trade”. With that, InvoiceInterchange pledges to give continuous support in building next-generation trade platform and maintaining Singapore’s edge as a leading trade financing hub.